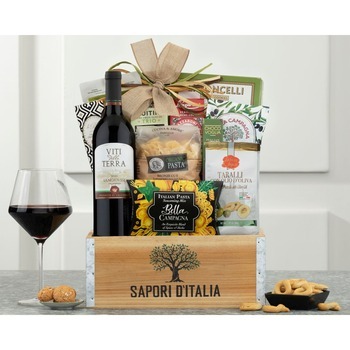 Viti Della Terra sangiovese has tart cherry and plum flavors with aromas of orange peel and cinnamon. 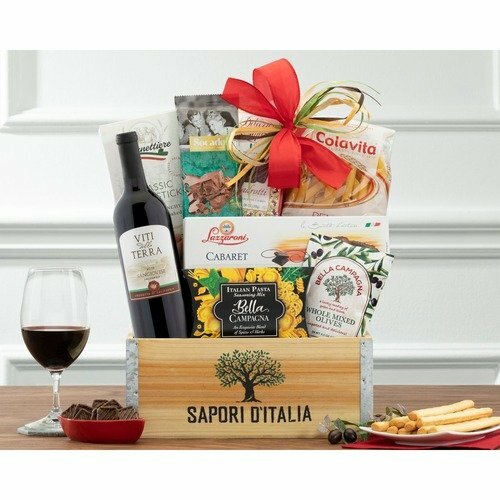 Olives, Amaretti Del Chiostro cookies, Italian pasta seasoning mix, breadsticks, Socado Italian milk chocolate and Colavita penne pasta round out this collection. * Used them for five years now. No complaints.